Late last month, Suitsupply, the global men’s tailoring brand, released their new SS18 collection ad campaign featuring love and intimacy between two men for its “everyday gentlemen” brand. However, reaction from homophobes has been swift: Not only did the company get a bunch of homophobic Instagram comments and lose 14,000 followers after publishing the campaign’s images there, a recent post on Reddit shows a Suitsupply ad defaced in public. However, he is not deterred. 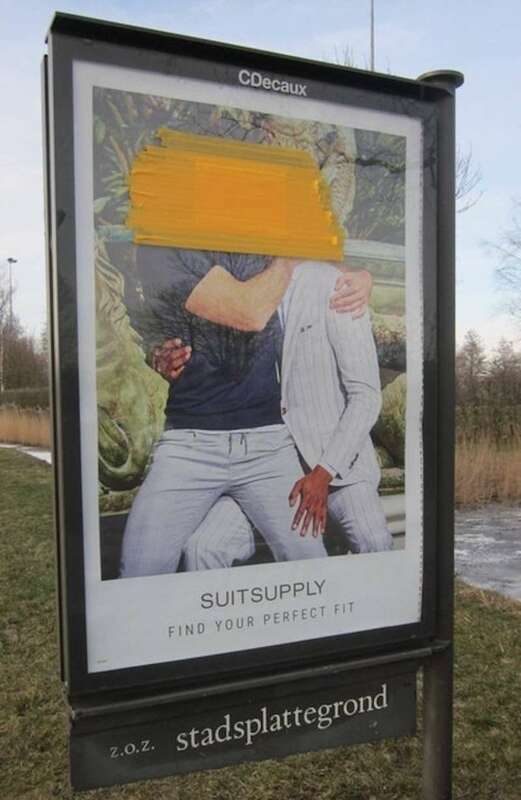 What do you think of the Suitsupply ad defaced in the Netherlands? Sound off in the comments.